Pope Francis has called for compassion, saying asylum seekers are “not dangerous but are in danger.” His comments come as hundreds died and more than 13,000 people were rescued by Italy this week. 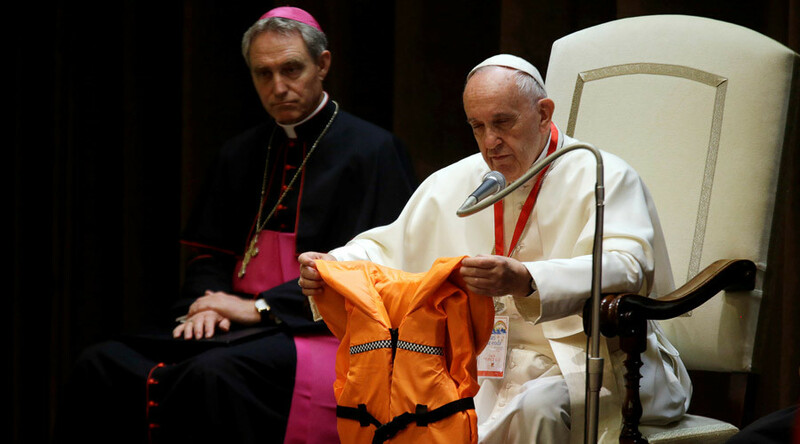 During his meeting in the Vatican with hundreds of children the Pope showed them a life jacket of a drowned girl he was given by a Spanish rescuer. “He brought me this life jacket and, crying a little bit, he said: 'Father, I failed. There was a little girl in the sea and I wasn't able to save her. All I could reach was her life jacket'” the Pope said. Most of the children meeting with Pope were Italian nationals, however some migrants also were present. Among them was a Nigerian boy who has been taken in by an Italian family after his parents lost their lives during their journey over the sea. This week witnessed soaring numbers of people arriving to Europe by boats. On Saturday over 650 migrants were recovered from the Mediterranean waters off the coast of Libya by an Italian coast guard and navy ships, aided by Irish and German vessels. In total over 13,000 people were rescued from the sea this week. “The number of minors who make the journey on their own and arrive in Europe is much higher than what we saw last year,” Save the Children spokeswoman Giovanna Di Benedetto said as quoted by Reuters. “But we are increasingly coming across much younger children, children of nine or ten years of age, who have made the journey alone or who have lost their parents or family members with whom they were traveling," she said. Pope Francis has strongly opposed the countries’ policies aimed at blocking migrants at the borders. 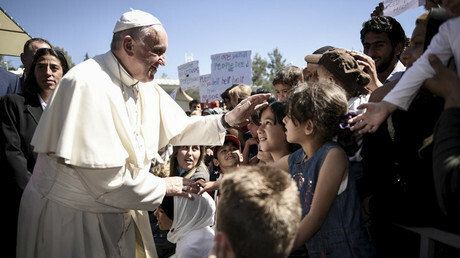 Last month he visited Aegean island of Lesbos and returned to the Vatican with 12 refugees setting an example of how the international community should act.